There are many reasons why people consider a Ketogenic or “Keto” diet. The most popular reason for this unique diet is that it works wonders for people affected by epilepsy and certain cancers. Others heard that Kim Kardashian was doing it and thought? 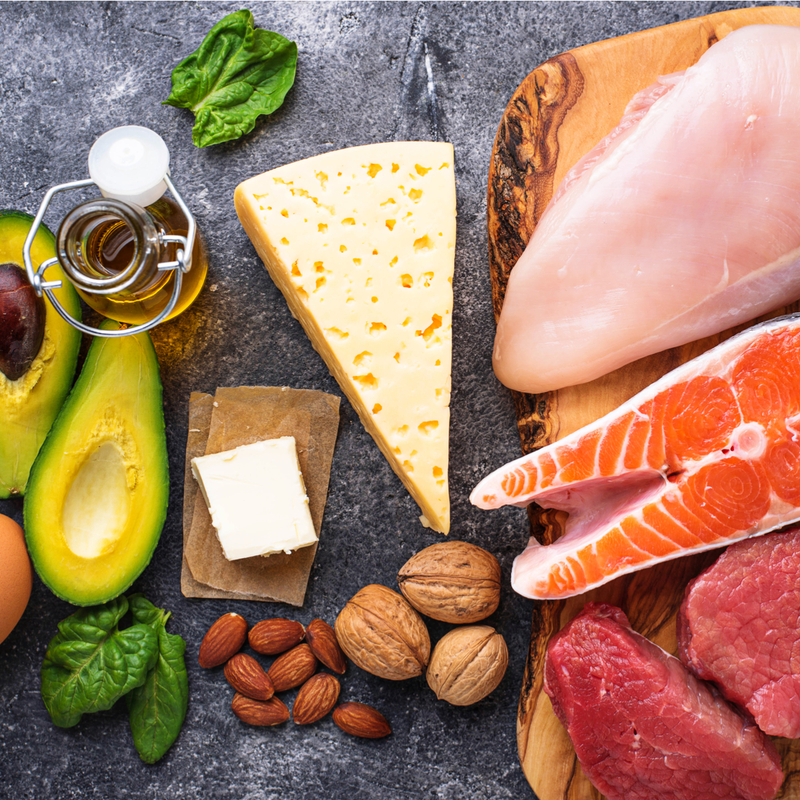 “Eh, why not?” If you’ve done your homework on the benefits and side effects associated with a keto diet, the next step is to prepare the right foods in the right portions for ketogenic perfection. Here’s how to meal prep for a successful Keto diet. If you don’t have some of the things on this list, it’s ok to get a little creative, especially if kitchen equipment isn’t currently in the budget. If your primary goal is to lose a specific amount of weight through the Keto diet, it’s a good idea to know what your daily calorie intake should be. If you want a precise measure of this, use this calculator. Knowing your macros is such an important part of a keto diet because it helps with the planning portion of your meal prep. More importantly, knowing your macros will help you to remain in ketosis, ensuring that you’ll get the most of your keto diet. You’ve Got The Food. You’ve Got the Equipment. Now, Time to Prep! Once you’ve got your macronutrients calculated for your caloric needs, it’s time to get to prepping! Unlike other popular diets, a little more attention is required for the Keto diet. That’s why the first step in keto meal prep is, as you may have guessed–planning, planning, and more planning. As mentioned earlier, meal prep planning helps the body to maintain ketosis. Meal prepping also gets easier as you begin your keto diet because you’ve taken all the guesswork out of calculating your macronutrients, allowing you to eat with ease. Don’t be afraid to take at least one day out of the week to plan out 7 days of breakfast, lunch and dinner meals. This will give you a better idea of what meal prep times are associated with keto meal. If you’re not exactly sure where to start, use this guide. When shopping for foods associated with a successful Keto diet, you should keep in mind that your primary goal is to buy real, whole foods. There’s a huge chance that your keto diet won’t work if you don’t eat healthy. While at the grocery store, it is also a good idea to resist packaged foods. While packaged foods may be convenient, they are often priced on the expensive side. Save yourself a few bucks and wash those meats and vegetables within the comfort of your own home, if you can. It is always a good idea to buy your keto items in bulk, as they more commonly cheaper by the pound. Buying in bulk also a good idea, as you’ll be able to freeze some items until needed. If, you need some tips on meal prep storage, this is a great place to start. Now that you’ve decided what recipes to make, you should do well to research how long it will take to make each meal. A general rule of thumb when cooking is to start with the part of the meal that will take the slowest to finish. For example, if your keto lunch or dinner involves slow cooking a chicken, you’d better get that going before cooking other parts of the meal. As with any diet, you should always have any ingredients pre-chopped and ready to go, so no time is wasted in preparing your meals.